Need help finding the perfect employee? Dental Offices save time, money and reduce their liability by working with Dental Staffing Solutions, Inc.
Take advantage of our advertising, employee database, conrfidential screening and hiring environment and experienced placement coordinators. Job applicants are pre-screened for skills, experience, salary requirements and references are verified. Need a Temp for a Day or Week? We have a pool of temporary employees ready to fill-in for you. Temporary employees available for short term or until placement employee is hired. This helps to ensure the right applicant will be hired. A fee is only due if an applicant is hired. Working Interviews are the only way to go! Do you like an applicant but not sure if they fit into your office environment? Have them work as a temp for a day or week. Ensure you hire the right applicant! 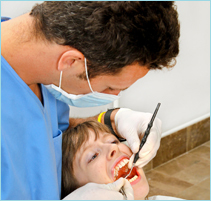 All of our staff are here to help with all of your dental staffing placement needs. Please feel free to contact us!